As the people we in Oxford Health care for, service users are at the centre of our thoughts and actions. We are committed to making sure we provide them with the best possible care. This is why we have created an award that only service users, carers or their families can vote for. 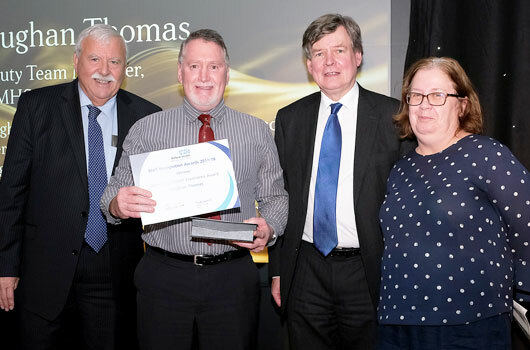 The Improving Patient Experience Award offers service users, carers and their families the opportunity to recognise the outstanding care and support given to them, by a member of staff or a team, that they feel has made a real difference to their experience. “I feel honoured. It’s an incredible personal achievement but I am actually privileged to work for the young people we work with. So I’m really chuffed to be recognised. I feel honoured. It’s an incredible personal achievement but I am actually privileged to work for the young people we work with. So I’m really chuffed to be recognised.